Our Aviator Room offers a more casual meeting space. A relaxed venue for you to infuse creativity into your day-to-day work. This is the space where you gather to be more inspirational and artistic. 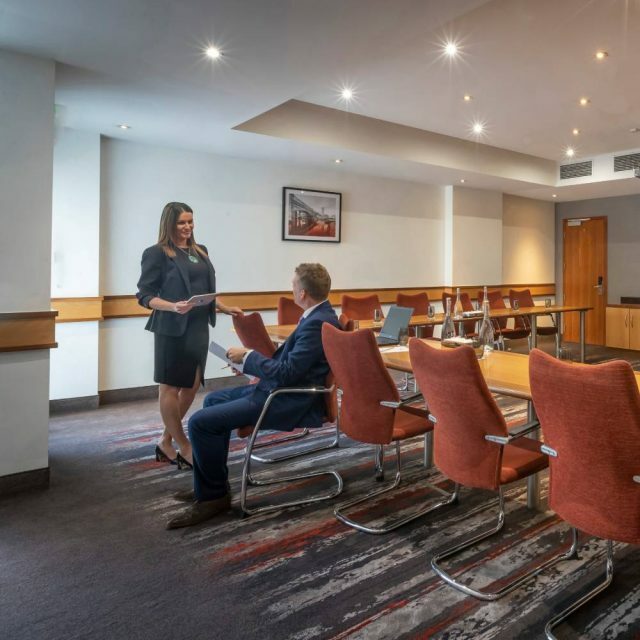 As well as our ten meeting rooms we have eight syndicate rooms that are perfectly proportioned boardrooms for meetings and events of up to 10 people. Our team will work closely with you to ensure your experience is seamless and the event is enjoyable for you and your guests. Your meetings host will meet you on the morning of your event to reconfirm timings and ensure you have everything you need – including connecting your laptop to the projector! If you need anything during the day simply press the call bell and we’ll be right with you. Talk to us about your specific requirements. You will find that our team of professionals are with you every step of the way.